During the California gold rush, 300,000 prospectors flocked to California in the hopes of making it rich. Among them was Alonzo Delano, who set out alone at the age of forty-two, leaving his family behind in Illinois, both to seek out new opportunity and because of a doctor’s prescription for a western climate to help cure a lung ailment. He was, in his words, both seized by a fever of the body” as well as a fever of mind for gold,” and his hope was to cure both. Unlike many of the other gold rushers, Delano was a highly observant and literate man, and he wrote frequent correspondence back home that later became the book Life on the Plains and among the Diggings. 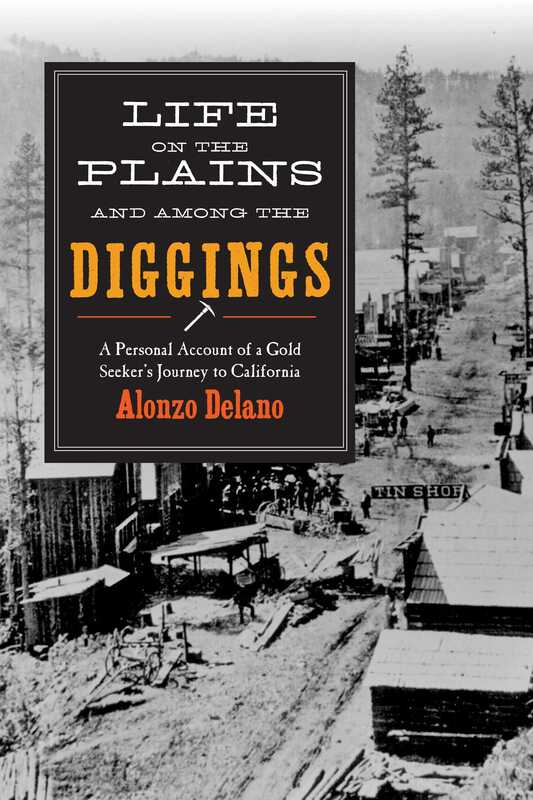 In it, Delano recounts the incredible adventure to California, one that was filled with humor and equal parts unrivaled optimism and crushing tragedy; not all of the hopeful prospectors survived the journey. With keen, true-to-life observations and an eye for detail, Delano describes the trek past the northern plains, through the Wyoming wilderness, across the brutal Nevada Black Rock Desert, and finally into the promised land of California. He goes on to recount how he settles into a new life, becoming an influential writer. Life on the Plains and among the Diggings is an amazing, true story of adventure and a fascinating look at the brave pioneers who made America what it is today.